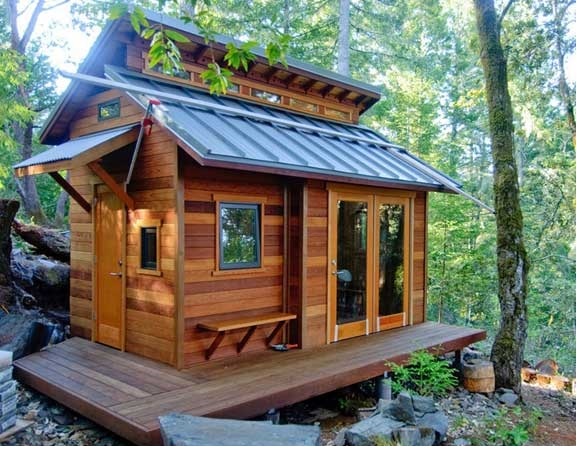 The popularity of a tiny home is increasingly obvious, so why not a small cabin? 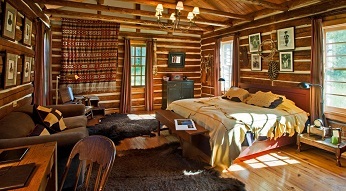 More people have access to a small cabin than to the large, expensive log homes that grace the covers of glossy magazines. 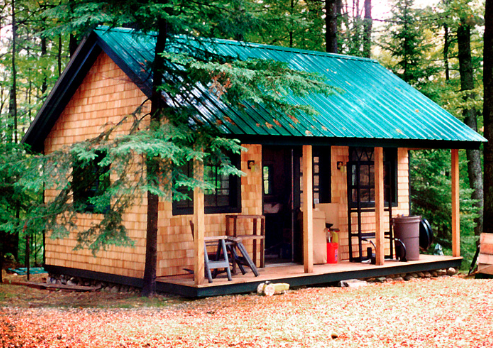 Small cabins are growing in popularity because they are affordable and accessible to many people. They work well with small land plots and don’t require a large investment in infrastructure. A cabin is often the only choice for someone who has limited funds and time, but still wants a second home on a lake or in the woods or wherever they’ve chosen to buy land to enjoy their time away from the stresses of a busy lifestyle. 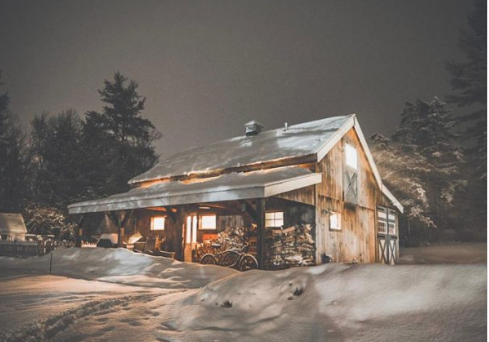 On subsequent pages we look at these different cabin issues with several ideas for addressing the challenges inherent in them and in living off the grid in a small home. More and more people are interested in the low impact lifestyle offered by small spaces, whether it’s a hunting cabin, writing studio, retreat in the woods, or additional space for family members. Your small cabin may be a shack, a log home built on site or a small prefab cabin trucked onto your property that has been built elsewhere. Cabin plans are available for DIY folks that want to build their own log home, and to save even more money people have even built pallet cabins using free lumber. 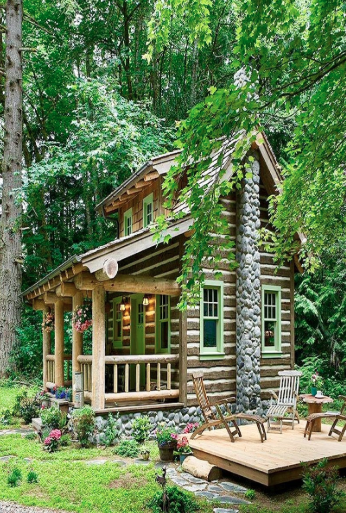 Check out our page with free small cabin plans for more ideas. In many municipalities you may be required to get a building permit if your cabin is over a certain size. This varies according to location but it’s typically around 100 sq.ft. If you can keep your small habitation below this number you are allowed to build without a permit. Check with your local building inspectors for the relevant zoning and codes. There may also be minimum clearances between your cabin and the edge of your lot, or between your small cabin and a body of water, from the high water mark. Be sure to confirm this before beginning to build or before laying out the site during your small cabin site preparation. While it may seem like obtaining a building permit is a relatively small thing, it will also require formal inspections, hook-up to local utilities, an increased property tax bill, and more. All this must be taken into consideration if you choose to build your cabin over a certain size threshold. Of course, you can also add outdoor rooms and outdoor kitchens to expand the overall living space of your cabin, including decks and porches. You can also utilize a cluster setup, where there is a central space for living, with outlying cabins for sleeping, cooking and bathing. One very interesting book on this subject is "Compact Cabins: Simple Living in 1000 Square Feet of Less", by Gerald Rowan. He covers off-grid options, small-space and efficient design, and cabin plans. Re-printed article from the December 1983 Popular Mechanics called “Build a Small Log Cabin”, by Michael Chotiner with illustrations done by Harry Schaare, just because I love those old drawings so much. Check out “Small Log Homes” by Robbin Obomsawin. More people are looking to downsize and simplify their lives and one way to do that is with a tiny home or cabin. In addition, you may be looking for an extra space on some land you own or a quiet space where you can set up an artist's studio or writing retreat. 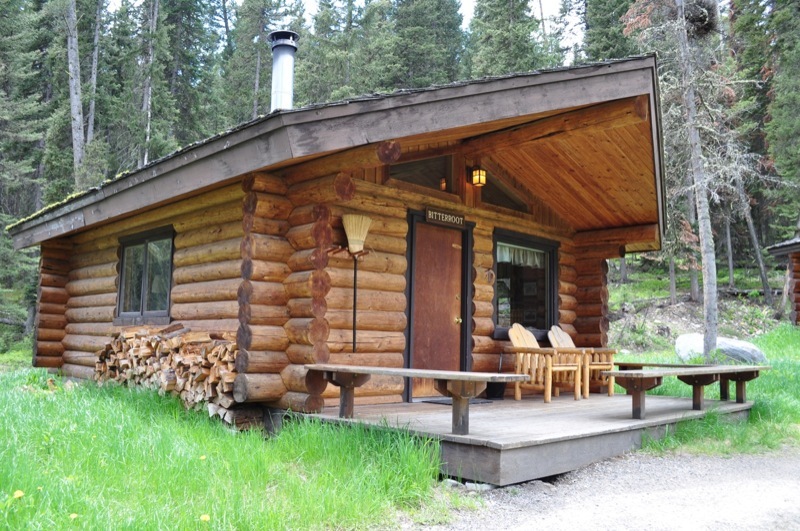 A small log home or cabin can offer the perfect solution with limited funds required.